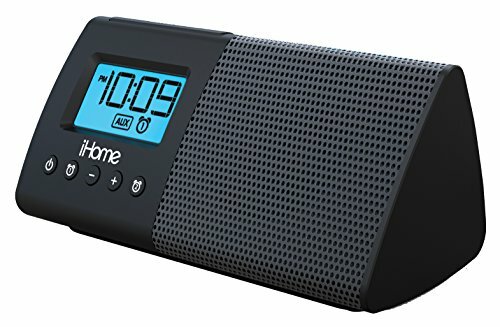 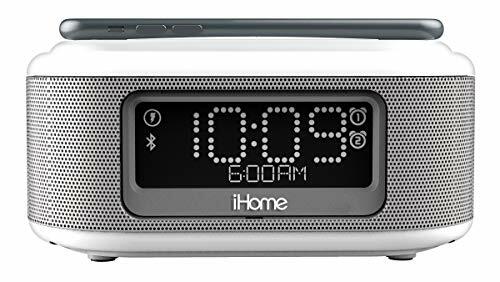 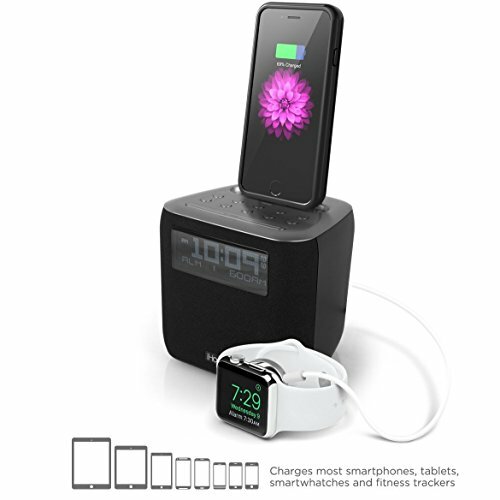 Capello Stereo FM Clock Alarm Radio with Lightning Dock for iPhone 5/5S and 6Will charge any Apple Device (Ipod and Iphone)with Lighting Connecter except Iphone 6 Plus Due to a size of the phone. 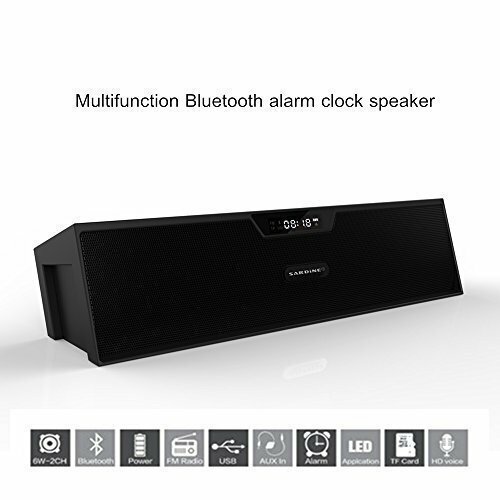 While docked you can play music directly from alarm speakers. 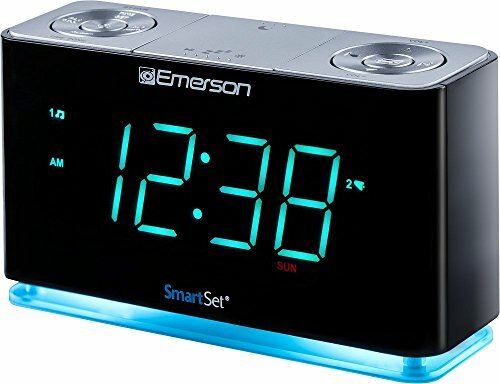 Great for a Party.Rise and shine to this alarm clock with lightning connector and USB charging. 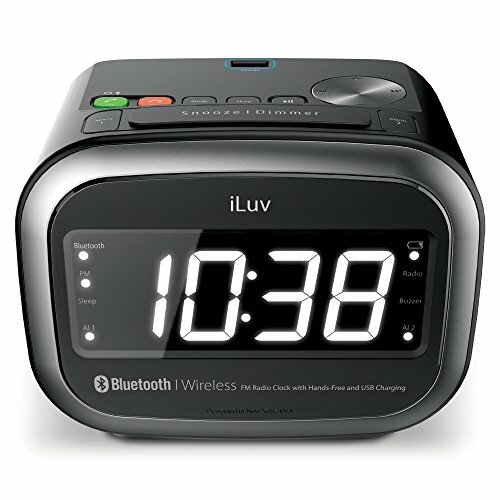 Alarm Clock features FM radio.Lightning Connector: Dock & charge next generation iPod and iPhone devices with lightning connector.Multi-function Playback Controls: Play music Integrated user interface complete with playback buttons.Line-In Jack: Play music and audio from any device with a 3.5mm headphone jack including iPhone, iPods, e-readers, and tablets.Dual Alarm Clock: Enables two separate wake-up time settings.Digital FM Radio: Listen to the radio with clear digital tuning and save your favorite stations with 10 presets.Built-in USB port: Provides audio playback from other 30 pin and Lightning devices and also charges any device that uses a USB port.